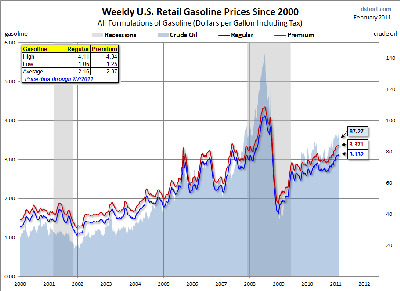 Have You Seen Gasoline Prices Lately? If you live in a place where nobody drives, that’s one thing. Doug Short plots the latest, and notes they’re stil just moving higher.